The Loudoun County Fair is held at the Loudoun County Fairground each July and is best known for its Kiss-a-Pig fundraiser and livestock auction. Other fair highlights include a carnival, rodeo bull riding, dairy show, goat show, horseback demonstrations, magic acts, eating contests, live musical entertainment, and a special dinner each evening. The dates for 2017 are July 24-29 and the fair is open 9:00 a.m. to 10:00 p.m. Some of the entertainment this year features the Cincinnati Circus, the Rocknoceros Band, a monster truck event, and Agricadabra Magic and Hypnosis Shows. And of course, there is plenty of food! Tickets can be purchased online and include parking, exhibits, and daily and evening entertainment. Cash, check, Visa, Mastercard, and Discover are accepted. Tuesday, July 25, 9:00 a.m. to 4:00 p.m. is Senior's Day: free admission for 65 and older. Wednesday, July 26, 9:00 a.m. to 4:00 p.m. is Kids Day: free admission for kids 12 and under. Monday, July 24 between 6:00 and 10:00 p.m.
Tuesday, July 25 between 6:00 and 10:00 p.m.
Wednesday, July 26 between 1:00 and 5:00 p.m. There are two designated general parking lots. The fair provides golf cart rides for those needing transportation from the parking lot to the fair entrance. There is also handicap parking available. The two events that the Loudoun County Fair is famous for are the Kiss-a-Pig fundraiser and the livestock auction. Members of the community are nominated to "kiss a pig," and every dollar donated is considered a vote. The nominee who receives the most votes gets to smooch with a swine and the money raised is used to support the Loudoun County Fairground. The livestock sale is a longstanding tradition, held in a live-bid auction format. The livestock sale allows buyers from the community to purchase meat that has been thoughtfully raised by members of the 4-H organization, a group that fosters youth to reach their full potential. All proceeds from the fair are dedicated to improvements at the Loudoun County Fairground and to agricultural projects in the county. The fair is a 100 percent volunteer event. Different events are slotted for specific times each day. You can begin with a dairy milking demonstration, and then later try your hand at Bingo. 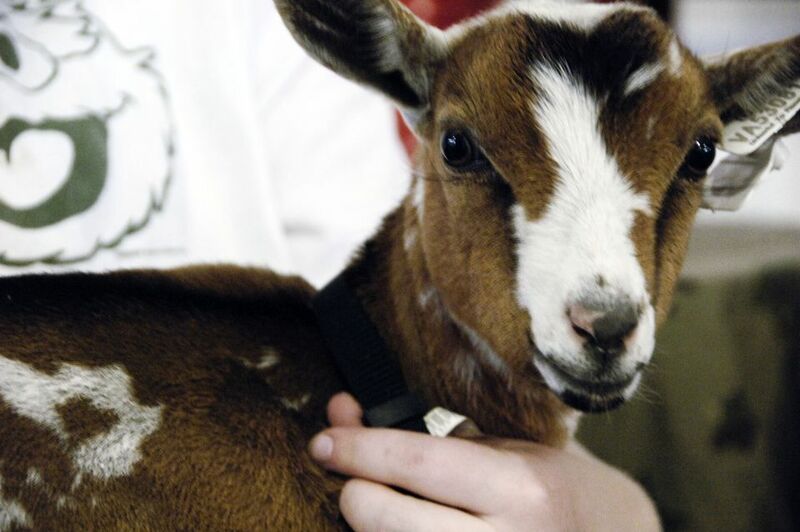 Perhaps after enjoying the local county fair delicacies, you will attend the goat show, or see some magic. Once the corn dogs are digested, it might be time for a carnival ride or two. Feeling competitive? Enter an egg toss contest or a corn on the cob eating competition. Finish off the day with the hypnotist show or some bull riding. Alcohol and pets (unless service pets) are not permitted on the fairgrounds.